Just Jingle: Felt and Wood and Paper, Oh, MY! Okay, so today I have a card to share with you. It may shock you. It's not exactly my usual CAS look. HA! Nope, my friends, this one bring in some wood, some felt, and a patterned paper with a heavy floral, too. Yikes. That's crazy pants, people! Can you see that beautiful cut/embossed leaf?! LOVE! The felt from The Stamps of Life is also great quality! It die cuts beautifully and you can stamp on it, too! 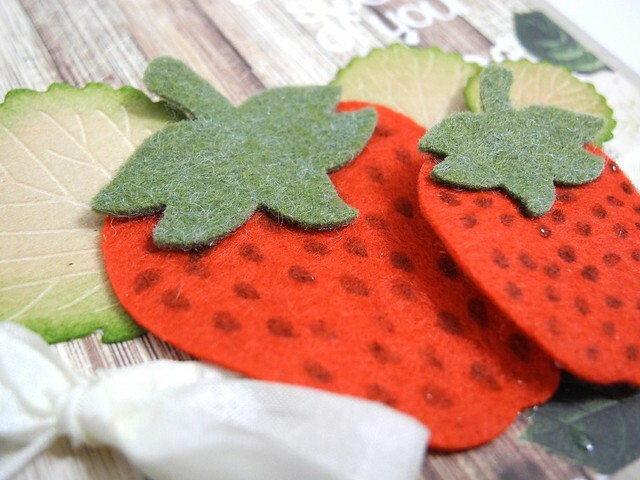 I stamped the strawberry seeds directly onto the felt after die cutting it. Be sure to check out The Stamps of Life website for some great videos, including one showing off these new stamps! oh i love those stawberries! 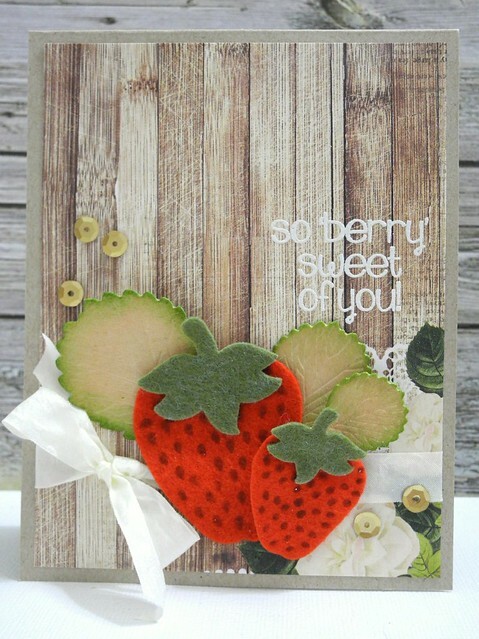 Way to rock the materials Jennifer, those strawberries are yum! gorgeous! love how this turned out!